New Attorney General Ken Paxton, who was found in 2014 to have violated the Texas Securities Act, will not be prosecuted by the state's office that investigates public corruption, officials said Thursday. 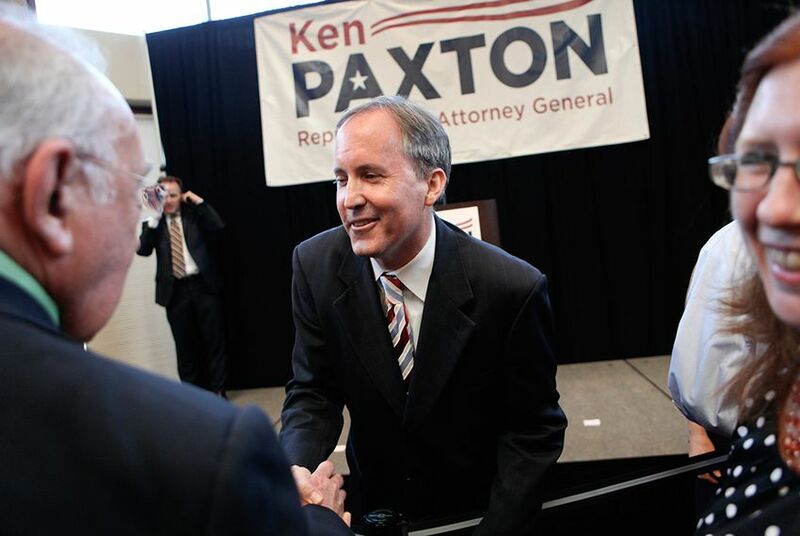 New Attorney General Ken Paxton, who in 2014 was found to have violated the Texas Securities Act, will not be prosecuted by the state's office that investigates public corruption, officials said Thursday. Paxton, a former state senator from McKinney, violated the Securities Act by soliciting investment clients without being registered, as required by law, according to a disciplinary order last year from the State Securities Board. Under the order, Paxton was "reprimanded" and fined $1,000. But Thursday's announcement signals that the case may be closed. "Our investigation did not find any additional criminal activity over which our office has venue, so we are concluding Travis County's involvement in this matter," said Travis County District Attorney Rosemary Lehmberg, whose office includes the state's public integrity unit. Representatives for Paxton have said the issue was related to an "administrative oversight" and was resolved after he paid the fine. Lehmberg's office said it had forwarded a portion of its investigation to prosecutors in Collin and Dallas counties, which could investigate the securities board's findings further. After The Texas Tribune first reported Paxton's activity as an unregistered investment solicitor, the securities board's investigation revealed that he engaged in unregistered solicitation activities at least three times — in 2004, 2005 and 2012. But only the most recent one occurred within the past five years, so the $1,000 fine assessed against him pertains to only the 2012 violation. Paxton began working as a solicitor for companies run by his friend and business associate Frederick "Fritz" Mowery as far back as the summer of 2001. While Paxton has been associated with Mowery's firm as a solicitor on and off for a decade or so, records show he was registered with the State Securities Board for a total of about two years.